3.9 out of 5 based on 36 bloggers and 1 commenters. 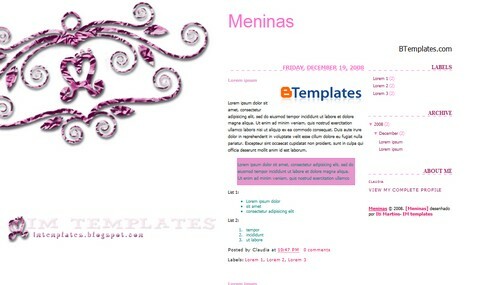 Meninas is a free blogger template with 2 columns, right sidebar, minimalist and girly looking. Can I change width and the left picture? And background color?